We have a limited supply of New Minolta Mini-Mars II Controllers. Buy now and save over 60% off manufacturer's list price. 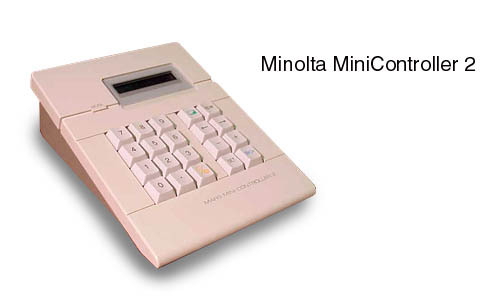 The Mars Mini Controller 2 is a dual level controller that commands functions for search, retrieve and print when used with Minolta RFC-15, RFC-20, RFC-21 or RFC-22 Carriers. Supports A & B channel searching and includes odometer retrieval for non blipped microfilm. Can be used for plug and play access to computer aided retreival systems.